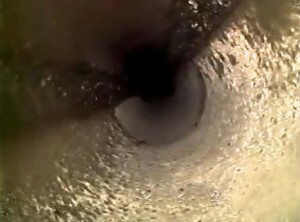 Traditional sewer camera inspections were unsightly, leaving behind large trenches that had the potential to be dangerous for home and business owners, releasing toxic gases into the air and creating health hazards. At Bob Oates Sewer and Rooter, we offer trenchless sewer camera inspections that mitigate the risk of health problems in favor of inspections that are quick and efficient. We save time on the inspection process and apply it to fixing your pipes as fast as possible so that you don’t have to deal with long periods of inconvenience and downtime. The latest processes of sewer camera inspections allow us to pinpoint any issue in your pipelines regardless of its size or location. We are easily able to identify the problems plaguing your pipes and offer effective solutions that will keep your pipes clean and clear for many years after our repairs are finished. Our sewer camera inspections allow our diagnostics to be completely accurate and ensure that our solutions will be long-lasting and effective, offered at an affordable price that won’t inconvenience our customers. To conduct our sewer camera inspections, we rely on small access points to insert our cameras through. Our cameras are threaded through the pipes on a flexible fiber optic line, allowing us to navigate the bends and turns in your pipes with ease. Our footage our cameras recorded is fed to a monitor that our experts view for reference, looking for problems such as clogs, leaks, cracks, and a variety of other complications in your pipes that could be causing problems. This technology is versatile and effective, allowing us to inspect all commercial and residential properties of any size and pipeline length. With the reliable information gleaned from these inspections, we will be able to offer the best, trenchless solution to repair the problem, and we make sure our work is done properly the first time to save you valuable time and money. 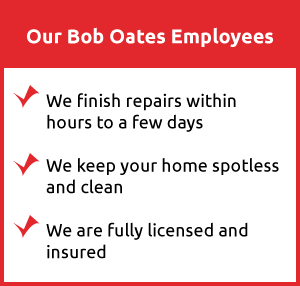 At Bob Oates Sewer and Rooter, our sewer camera inspections offer a variety of benefits for our customers, ensuring that pipe repairs are done accurately and allowing our technicians to assess the quality of your pipes as a whole. Our sewer camera inspections are offered in emergency situations as well as preventative maintenance settings, ensuring that we can keep a watchful eye over the condition of your pipes and prevent major problems from forming by regularly inspecting and cleaning your pipes as needed. We pride ourselves of the fine workmanship known throughout the Ballard area, and our s. Our state-of-the art camera equipment isn’t limited to sewer camera inspections only. 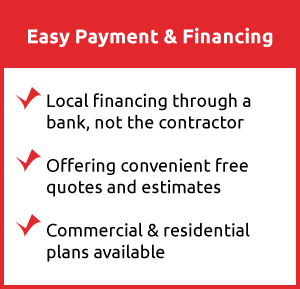 We utilize this technology in our drain cleaning services and pipe repair and replacement processes as well, guaranteeing that all of our work is accurate and comprehensive. Our advancements in trenchless technology allow us to resolve problems within a few hours and reduce the amount of labor and damage on properties. All of our work is conducted above ground, with trenchless solutions in order to keep our customer’s schedules from becoming disrupted. Our solutions are far more efficient and long-lasting as a result of these innovative repair processes, ensuring that the new pipes installed will last up to fifty years or more, and with our sewer camera inspections, we can extend the life of your existing pipelines by performing routine check-ups to keep them clean and clear of any problems. Call Bob Oates Sewer and Rooter to schedule your sewer camera inspection in Ballard today, and we look forward to working with you.